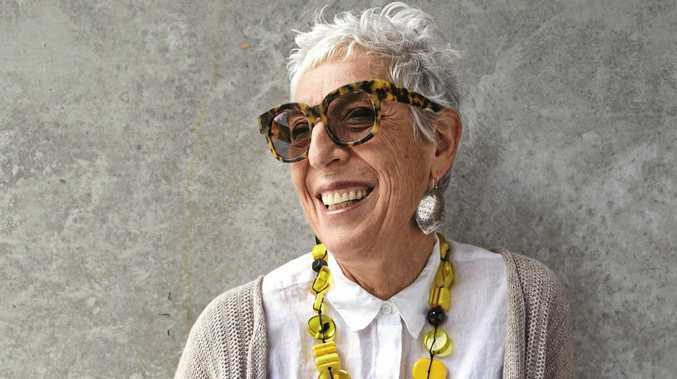 OZHARVEST Food Fight champion Ronni Kahn will bring "Grazie - Dinner with Andy, Ronni, Alessandro and Giovanni” to Locale Noosa for the Noosa Food and Wine Festival. The special night will feature a four-course dinner with matched wines. Designed and prepared by Giovanni Pilu, Alessandro Pavoni and Andy Davies, they will share their appreciation of the entire ingredient and celebrate the end-to-end food cycle with gratitude, exploring sustainable and ethically sourced ingredients. Dolci - tiramisu panna cotta, coffee granita, chocolate pashmak, savoiardi. Ronni's dinner is on the Friday, May 17 at 7pm. Some tickets are still available. NOOSA Food and Wine Festival and OzHavest founder Ronni Kahn will cast a spotlight on sustainable events at this year's festival, with a focus on reducing food waste. This is your first visit to the Noosa Food and Wine Festival - what are you looking forward to? Oh my goodness, I'm beyond excited! The combination of hugely talented chefs (many who tirelessly support OzHarvest), an array of delicious and nourishing food, all wrapped up in a blanket of sustainability - it's my idea of heaven! What was your inspiration for starting OzHarvest? Working in the event industry for 20 years, I saw mountains of good food going to waste every day, whilst so many were still hungry. I knew there had to be a better way. I was also looking for purpose in my life and a visit to see an old friend in South Africa who was doing amazing work with underprivileged communities reinforced what I knew I had to do. I never set out to start a charity, I just saw a problem and decided to fix it. As soon as I started OzHarvest, I knew I had found my destiny and life's work. What would be the one thing you would love for more people to be doing to reduce food waste? The annual bill for food waste in Australia is $20 billion and over half of this comes from our homes. The power truly lies with us to make simple changes with how we look, buy, store and cook food. If I had to narrow it down to one thing, I would say only buy what you need (and make sure you eat what you have before buying more). It would make the world of difference if everyone did it! I also believe if you truly value food, you are less likely to throw it away. How can events such as the Noosa Food and Wine Festival put a spotlight on sustainable practices and reducing food waste? To bring about change, we have to raise awareness of the issue and educate people about what they can do. Events like the Noosa Food and Wine Festival create a ripple effect of passionate people inspired to make a difference for the future of our planet.